Today I would like to talk a little about Wizard City Protectors. This is a new group in the Spiral that I am honored to be a part of. Just a few members of The Wizard City Protectors. 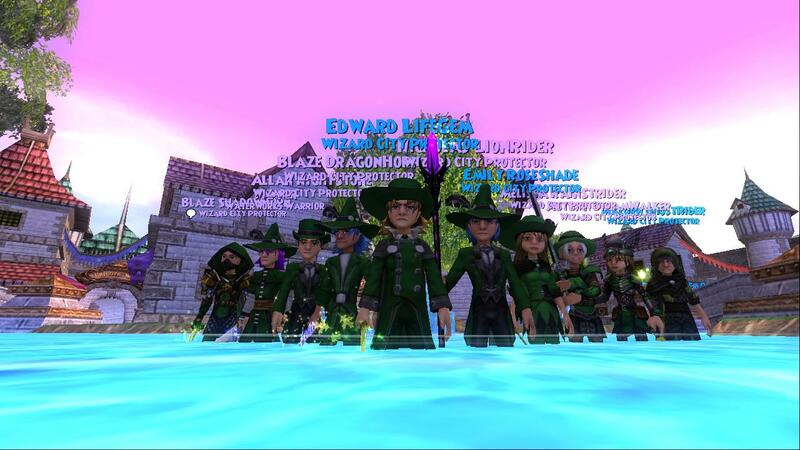 Wizard City Protectors is a group that was formed by Edward Lifegem of Around the Spiral with Edward Lifegem. The purpose of this group is to try to help keep the game family friendly, especially in the Commons. ﻿﻿﻿﻿﻿﻿﻿﻿﻿﻿﻿﻿﻿﻿One of the things I like about this group is that we don't just go around reporting people. We try to talk to those who are exhibiting unfriendly behavior by reminding them to keep things "G-Rated". Of course, there are those people in the game that just don't care about what others think and do what they want anyway. These people do get reported, so that Kingsisle can take appropriate action. I have found that many of the people I have had to warn in the game do stop if they are asked nicely though. An awesome thing about this group is that Kingsisle knows about us......And they approve and think it is a great idea! The following quote is from a letter Kingsisle sent to one of the members of WCP. " In fact keep up the WCP, it sounds like a great group." 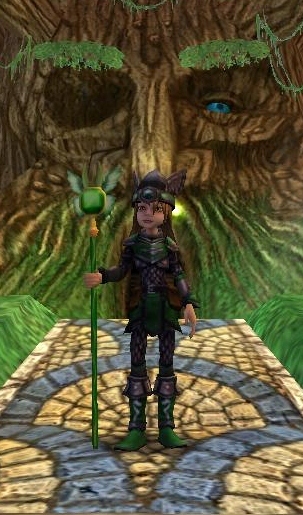 Thank you Kingsisle, for your support of WCP! If you would like more information on WCP, check out the following links. Thanks for reading! See you tomorrow with a post on a friend's awesome house! Nice! hope you have fun with the group!